Notes from the Selmelier : Kosher Salt – What is it and why do chefs use it? Kosher Salt – What is it and why do chefs use it? We have all heard of salt being called "kosher," but what exactly does that mean—kosher salt? Typically, the confusion derives from the meanings of the term. People often say "kosher salt" when they mean either kosher certified salt, or kosher-style flake salt. 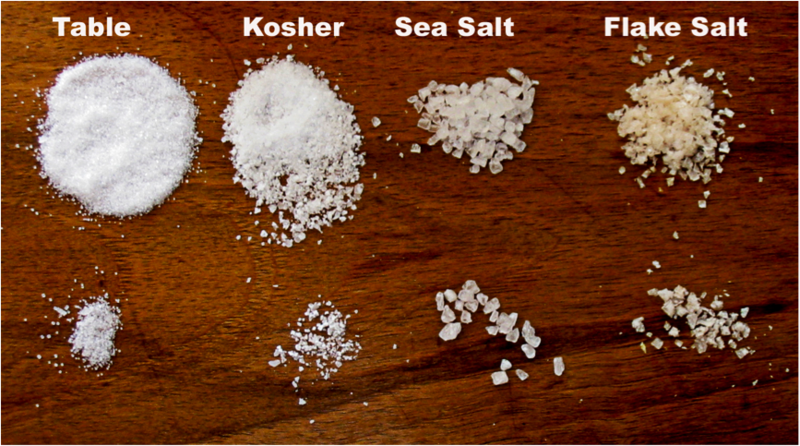 Below is an explanation of the difference and how to discern which kind of kosher salt you need. Kosher certified salt, commonly referred to as "kosher salt," refers to salt that has met the guidelines of kosher outlined by Jewish law, and upheld by kosher certification agencies and members of the Jewish Faith. Kosher-style salt is commonly referenced in recipes and by chefs alike, and is categorised by its distinct small, flake-style crystal. Chefs like kosher salt as the flake is easy to hold and control the level of salting, and the flake takes moisture out of the food it is used on. The texture and shape of kosher-style salt is lighter and more delicate than a typical fine grain salt and is enjoyed by many people for both the subtlety of flavour, and also its slight crunch when sprinkled over dishes. Kosher-style salt also dissolves quickly and evenly into foods during cooking, and melds wonderfully with other flavours. It is a great salt to use in spice blends as the flake ‘holds’ the spice flavours, and it easily dissolves so it is used in fermenting and brining. ¼ teaspoon of each salt is shown below. In weight, table salt weights more than twice kosher salt. Sea Salt weighs the same as table salt. This recipe uses Kosher salt as it quickly dissolves into the soup at the end of cooking so you can easily taste the salt while salting.